A volcano spewing ash, magical forest fireflies, and a monkey who feels just like we all do about winter weather. These are just a few of the remarkable photos from the Smithsonian’s annual photo contest. The winning photos for 2015, released this week, were selected from more than 46,000 submissions. 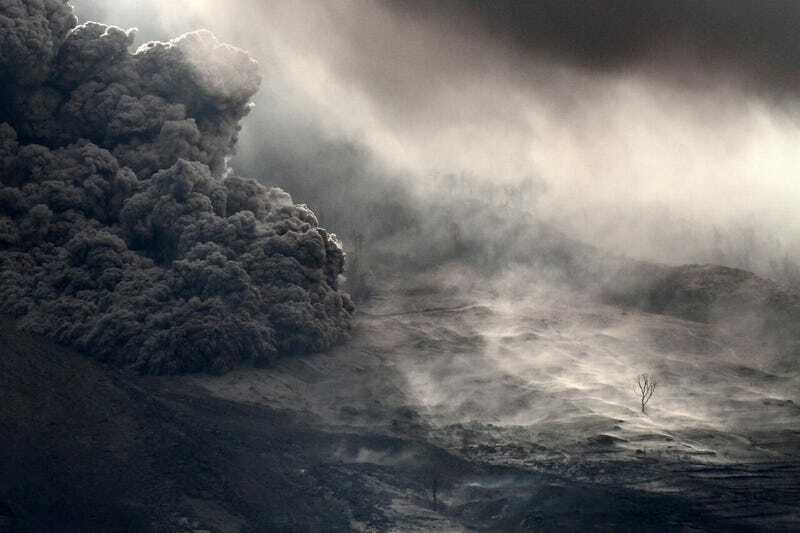 The grand prize winner, seen above, was taken this summer in Indonesia by Albert Ivan Damanik during the eruption of Mount Sinabung. You can see all the winners and finalists over at Smithsonian, with an archive dating back over the last 13 years. Or submit your own photo to the 2016 contest, which is now open for entries. AMERICAN EXPERIENCE WINNER: Photo: Trucker Chapel Credit: ©​Lauren Pond. All rights reserved. Location of photo: Lodi, Ohio.